Check out our Team blog written by Eagle Works members themselves! Be the first to know what's happening on all Eagle Works activities including project progress and outreach events! The Eagle Works Team is proud to announce that two of their members were recognized at Embry-Riddle Prescott's Women of Excellence Banquet this past Thursday evening. Julia Mihaylov received The Outstanding Woman of the College of Engineering Award and Maelee DeVries a prestigious scholarship. Both of these amazing ladies give their all on and off the Team. Beyond Julia's duties to Eagle Works as the telemetry lead, cooling lead and Team secretary, she serves as the Editor in Chief for Horizons, the ERAU Prescott newspaper. The list of responsibilities does not stop there for Julia as she maintains a high GPA, has worked with JPL on a coding research project and is an active member of Alpha Xi Delta. Maelee pours hours into the E-2 car's battery system, but the interesting thing is that she is actually a forensic biology major. The Team is lucky that Maelee has a fascination with engineering. Outside of Eagle Works MaeLee works on Project Pengyou, an organization that promotes cross cultural relationships. As a freshman she has been offered teaching assistant positions within ERAU Prescott's chemistry department. Thank you ladies for all you do for the Eagle Works Team and congratulations on your incredible achievements! 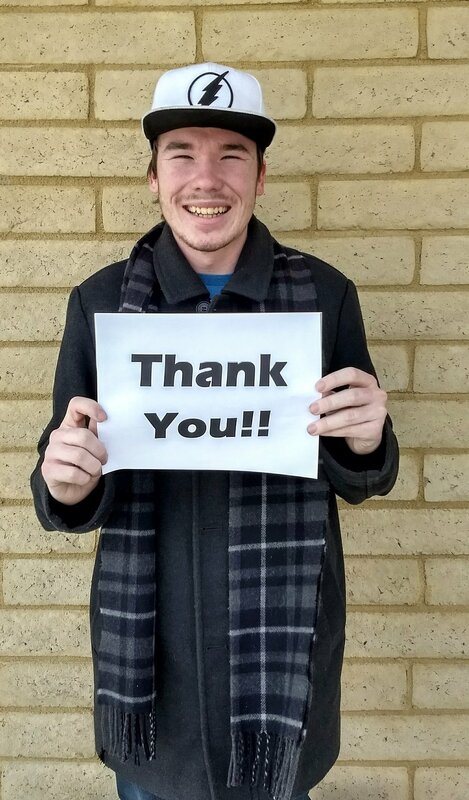 Eagle Works would once again like to thank everyone who donated to the team's crowdfunding page over the past month. 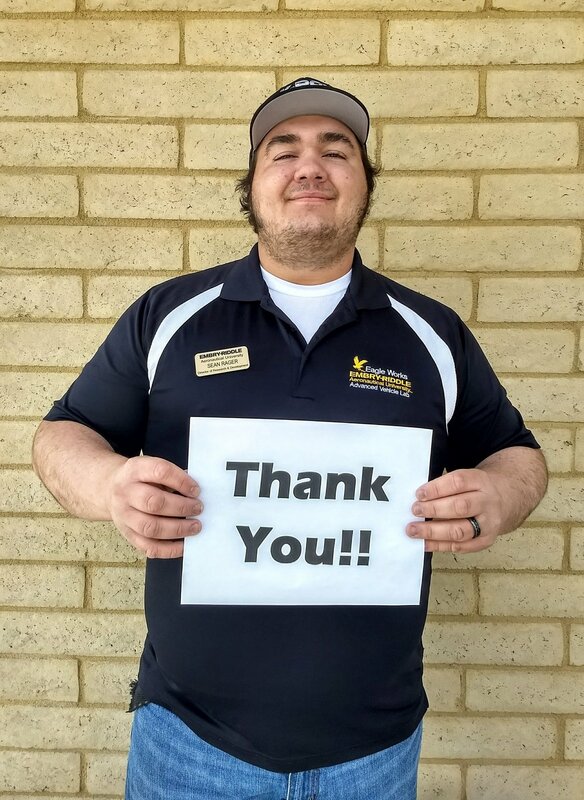 We finished our campaign with $4,250, and appreciate all of your generous donations and support. The Eagle Works Team had an opportunity to document their story like never before in their history. Click on the video to learn about the E-2 land speed vehicle project and how you can help make this dream a reality. Eagle Works is excited to announce that our crowdfunding page is now live! Support us in our effort to break the E-2 land speed record for electric vehicles. Thank you to all of our current sponsors and donors for helping lead the future in clean technology. Eagle Works appreciates your continued support and enthusiasm for this incredible project. Our crowdfunding page can be accessed at the link below or the donate button on our Facebook page! Stay tuned Eagle Works fans and followers as we anticipate the final aeroshell design. This key component of the car not only protects the internal systems of the car but it is also critical for stability at high speeds. The aerodynamics team has been hard at work refining and optimizing the model. We look forward to the final product! We would also like to thank ANSYS for all the help they have given us to do analysis on not only this crucial component but many others as well. With 70% of the car components modeled in CAD, the team dedicated Saturday toward finishing and refining models. A recently finished CAD model is the completely assembled battery cell with new CCA connectors. Explosively Welded Copper Clad Aluminum connectors (CCA) will connect to the battery cells of the car, allowing a flow of energy through the batteries and powering the vehicle. The CAD models below are essential to the success of the car as they are critical components in the movement of the vehicle. The CCA creates a set of series and parallel connections in the cells, resulting in higher voltage and amperage respectively. The more of both connections that exist, the more power the batteries can distribute and therefore the more energy available for the car. 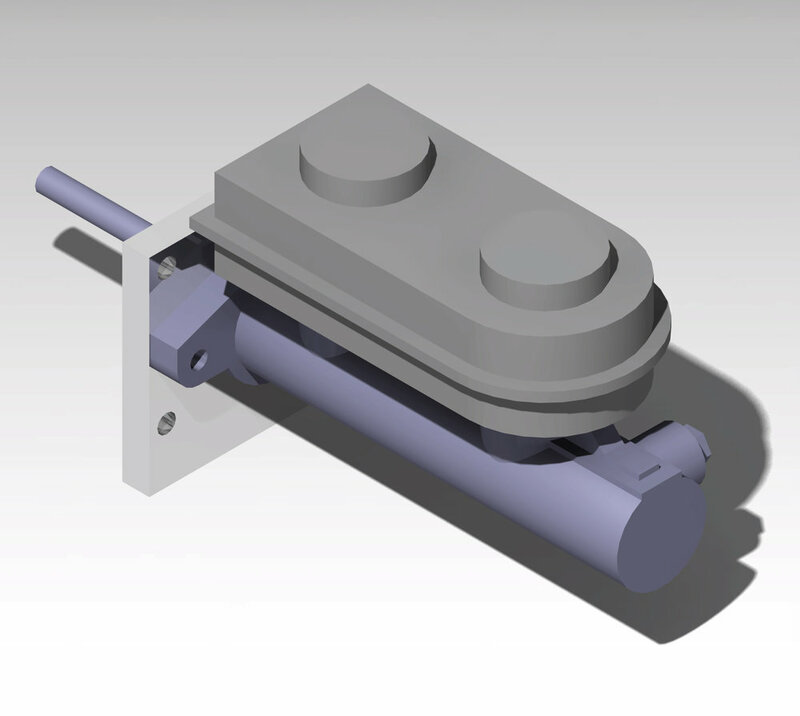 Below are CAD models for the CCA and battery cell designed by Johnathan Crossley. The third picture is a manufactured CCA. Happy 2018! The team hit the ground running today, picking up where we left off in the fall. Be sure to check our Facebook page, website, and Instagram for weekly updates and notifications about our mission to beat the E-2 land speed record.